A hand grenade was reportedly thrown at Member of Parliament Volodymyr Parasyuk's car in Pechersky district in the center of Kyiv on Wednesday evening, according to MP Igor Lutsenko. "Someone has thrown a grenade at Parasyuk's car," Lutsenko wrote on Facebook on Wednesday evening. He later wrote that the incident looked like "attempted murder." "The grenade was thrown directly at the car, but branches [of a tree] did not let it hit the target. A RGD-type hand grenade was thrown after he had arrived home and parked his car. Fortunately, it missed [and exploded] five meters away. It hit a nearby car," he wrote. "This means they had been following him, they knew where and approximately when he was to arrive. This is a serious case," he added. В машину Парасюку хтось кинув гранату. Їду зараз туди. Опубликовано Igor Lutsenko 30 марта 2016 г.
Parasyuk, born in 1987, is a Member of Parliament. He was elected as an independent candidate. 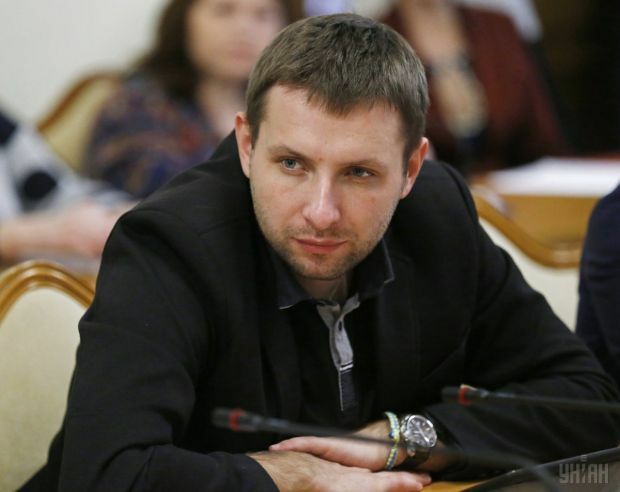 In parliament he joined the inter-factional group UKROP. He participated in Euromaidan protests late in 2013 – early in 2014, where he was a sotnik (commander) of a self-defense group on the Maidan and became famous for his ultimatum speech on February 21, 2014, against the then president Viktor Yanukovych. He also participated in the Ukrainian-Russian war as a member of the Dnipro-1 volunteer battalion.